Massive, soaring windows with dozens of small panes. Majestic, dramatic windows that cover two stories of your home and let in a bank of natural light. 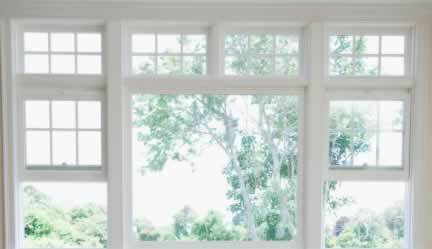 Odd-shaped windows that catch the eye and make your guests ask where you found windows like that. These are all examples of how plastic windows can provide exceptional beauty in architecture! There was a time when vinyl windows were available only in a set number of styles and colors, and each house looked the same when the vinyl windows were installed. Today's vinyl windows are quite different, however. Plastic windows can be made in gorgeous and unique styles that can make your home the envy of the neighborhood. The dramatic views, inside and out, used to be what you would expect of handmade wood windows or even steel and the like, but with more modern technology, now vinyl windows are your go-to source for all things dramatic.